KND vs. Twilight. Worst-case senario: You're about to be attacked da Vampiri#From Dracula to Buffy... and all creatures of the night in between. Best-case senario: You're about to be attacked da non-sparkling Vampiri#From Dracula to Buffy... and all creatures of the night in between. 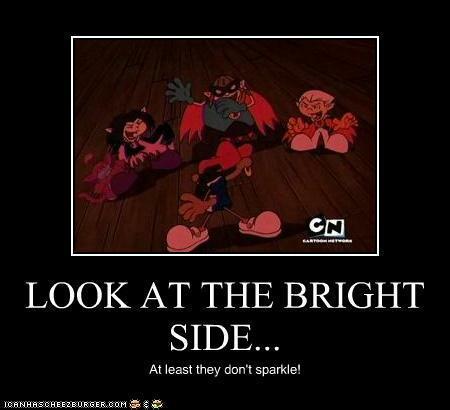 (Also, no offense to any Twilight fans). Wallpaper and background images in the Codename: Kids successivo Door club tagged: kids next door vampireknd.